an Engineer, Inventor, Mechanic, amateur radio operator, Husband, and part time Farmer. Just to name a few. 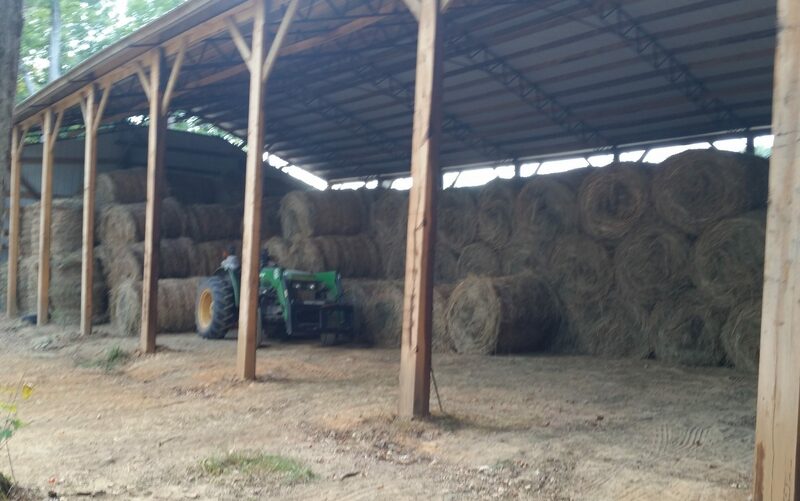 I grew up on a typical small East Tennessee farm, where I learned all my work ethics. We started with Tobacco, Chickens, and eventually moved to Cows. We would also raise a 2-acre plus garden as well as process a good deal of our own beef and pork as well as pick blackberries. Side bit, I am a EIGHTH generation Tennessean via Whitaker name. Before that the whitaker name is attached to Lancaster England. Neat bits on internet to learn about the preacher that married pocahontas to her husband. He was the uncle to most first sets of whitaker’s that came to America. Meaning I can get SAR status just on one whitaker side. Many others whitakers migrated after the first set my heritage is from the first group. Wish others could have the that ability to trace their back like that. My mothers side also can go back pretty far in tennessee to the revolution, and sea crossings. I have always been very passionate about learning and solving problems. As a child, I was fascinated with how things worked, and was persistent in attaining knowledge from everywhere. People would often tell my mother she had an engineer on her hands. I have continued this path of exploration and learning into my professional life. Growing up, I would often disassemble things around the house and farm. I began assembling them for fun, and using the parts in re-purposing them for whatever the flavor of the days was. For example, I took a motor out of hand vacuum that I found in a wrecked car and used it for a homemade “Dremel” as I couldn’t afford a real one. Growing up behind a junkyard only helped towards these endeavors of “Making things”. However, mom would help to teach me about keeping it orderly. I started young using a drawer to store my new “parts”. Mom found my drawer and started to throw out what she saw as junk. I quickly corrected her, it was not junk, it was my spare part bin! I was about 5 at that time. So, the drawer became my hidden stash, and soon It would require an “order and sorting” exercise to fit all the parts in it. Keeping up with the parts also became important. That would help me later pack lots of things in small places and find them quickly. I also discovered the world of Legos, and wow. That was a match made instantly, I also built a Lego 3-speed transmission, just to better understand how the real thing works. It was not exact model but it had pneumatic gear shifting, and a remote battery pack. Later, my grandfather was murdered and I spent more time in his junkyard than ever, we transported scrap metal to sale to help pay bills. In the junk yard, I saw one of the coolest things I had ever seen at the time (1998) was the car crusher. I quickly went home and built a Lego model of what I had seen. I later built cranes and trains. I would often buy sets that had the newest Lego parts. I was always on the look for key parts. I usually would build the instructed one first for giggles. The longest build was a set I bought to calm my nerves in college, it took less than an hour to build, it is easy when instructions are available, right? By the time, I was eight; I had helped dad rewire two ford rangers (a 1991 and 1992) into one vehicle. (He let me strip the insides for fun, or to keep me from causing trouble I guess.) All this helped me to set my early Career Goals to become an engineer. On into high school, the Legos moved to fill the entire top bunk bed as a Lego city. Then during career day, I only continued my passions for what is now called “Making“, but I soon realized I needed to start somewhere first, so I settled for Mechanical Engineering as it is a great gateway to inventing and being a entrepreneur-inventor. After pre-engineering program at Walters State Community College, that soon led me to Tennessee Technological University, of Cookeville for two main reasons, I was poor at academics endeavors and second it is the best engineering school in the state, at least in my opinion. Also, staying in the home state allows lower tuition versus the out of state comparisons. I wished to go to MIT or other engineering school, but as I reached high school I was an average student. Although the University of Tennessee (UT, “the Vol’s”) was closer, it would cost more but could have saved some in driving and living cost. Then however, UT was not as hands on as TTU, and mostly better grades where required to enter. This led me to many new learning paths from many new perspectives in having to move. I am also a semi-active amateur radio operator, and enjoy all aspects the pastime has to offer. While studying at TTU; I worked my way into the president of TTARS (Tennessee Tech Amateur Radio Society). My callsign given was KJ4IGR. I also participated in ARES as an emergency radio operator for natural disasters. We would use marathons to practice communications to the various stations and their requests or tasks and relaying information to all the water or relay stations through the course. We would also provide GPS coordinates of the status of the race for the race coordinator. Did you know, Hams where the first users of the concepts of modern “cell phones”. The other aspect I like about the hobby is the molecular interaction or radiation patterns, and some nerds like me can really get into that. As that was my main reason for the interest in radio. The high-school “CB” toying was a plus, it was the BEFORE the cool cell phone craze was just starting. Most students that did not have “rich” or “cool” parents did not have a cell phones so we had CB’s. You can read more about radio on my ham radio page. Trying to learn forever, I found patterns of issues in Manufacturing environments in jobs and other issues with “communications” and logistics using engineering techniques. I am now continuing my way into my next learning paths in my career and in life. Anyways, I don’t want to get philosophical and political nor wright a book, but one of the best sites that I would like to reference some of “views” is the theschooloflife.com. The rest that I’m professionally able to discuss is in my resume. Enough about me and my thoughts.